As part of my 2013 goals I committed to writing a blog summarizing all of the pages I read every week. Last week was my first week of the reading goal and I’ve learned a few things: First, that 200 pages might be too low of a goal; second, that I need to do a better job of catologing all of the things that I read during a week; and third, that either I need to blog more in between or post these summaries on a completely different medium, otherwise this blog will be entirely devoted to my reading list. You can read my 3 paragraph Goodreads review here. 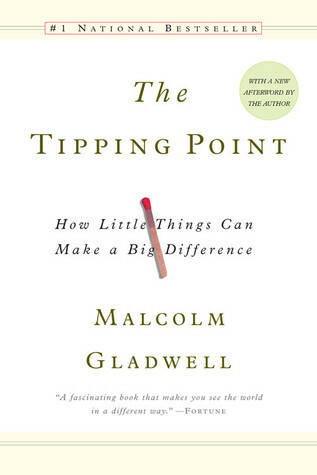 To sum it up in fewer words, Gladwell eloquently uses entertaining and intriguing stories to outline what key ingredients are necessary to tip a message over the edge into an epidemic, or what we now commonly call “viral”. 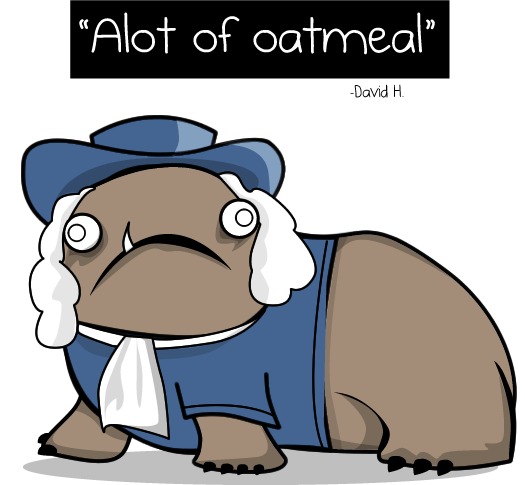 I had a spare hour or two on Sunday and I needed a good laugh, so I read ‘alot’ of comics by The Oatmeal, including this one. 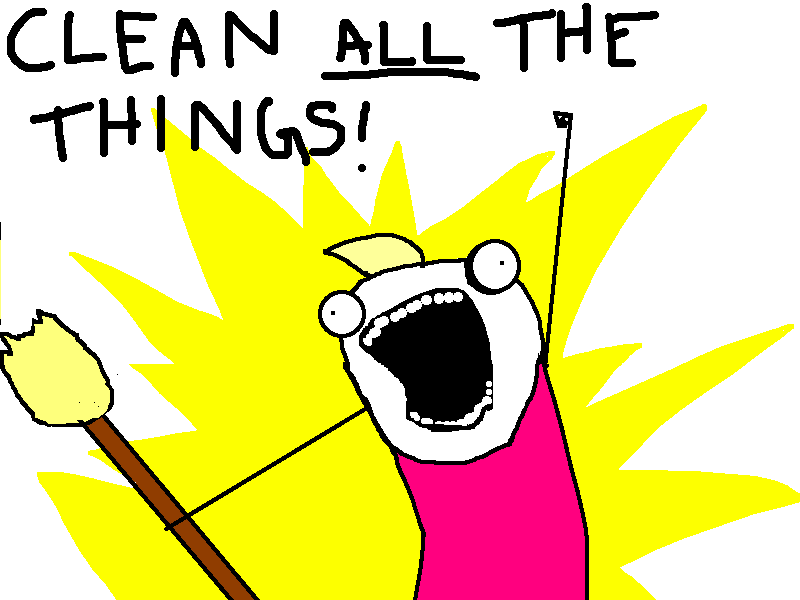 Which lead me to Allie Brosh’s website. Perhaps everyone else already knows, but Allie Brosh is creator of epic comics such as “This is why I will never be an adult” Where the image “clean all the things”; she is also the creator of the “alot” monster. She is currently battling depression, and has been for quit some time. I’m sure I’m not the only one who wishes her the best. An open source robotics project where you can print most of the parts to a humanoid robot. It’s exciting, it’s open, I like it, but… I don’t think 3D printing is always the right mfg process for parts, and I don’t think humanoid is usually the right design for a robot. 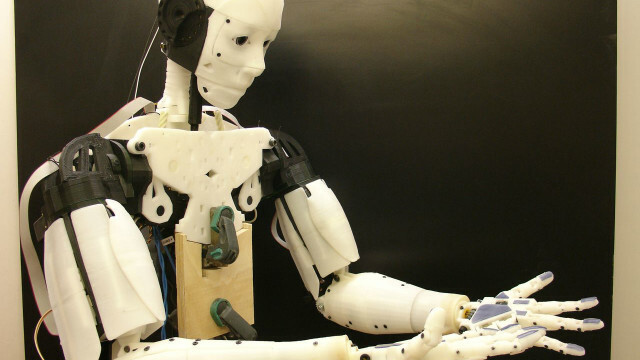 More often than not a robot can preform a task better w/o articulating fingers. I think that the idea behind encouraging people to collaborate and make there own robot is fantastic. I don’t think the robot itself is ideal. But I am definitely glad to see this sort of work happening. Nasa has a cool moon walker. Check out the blog for full details. A good analysis of why and how the cold weather actually effects the probability of you catching a cold. So those are the highlights of the week. And I am realizing that capturing the content of all of the things that I read is a great exercise for me to commit the knowledge to memory as well as to help people by condensing content and sharing my insight. Granted I’m not an expert, but I like to share what I do know, and my semi-unique perspective on the world. Given all of that I think it would be easier to give blog digests as I read them, and the book updates once a week. Or as I finish the book. That is a lot more content than I normally share on this blog, and somewhat out of the vein of what I share on here. This blog is typically reserved for my thoughts, life events, etc. And occasionally news that I find so impactful that I feel the need to talk about the implications at length. Next week you can expect to see a new blog or tumblr from me with all of the content generated by my two part goal to (1) read over 200 pages per week and (2) share that information.